Since autumn is definitely here, you will need sleeves for your tops and jackets. 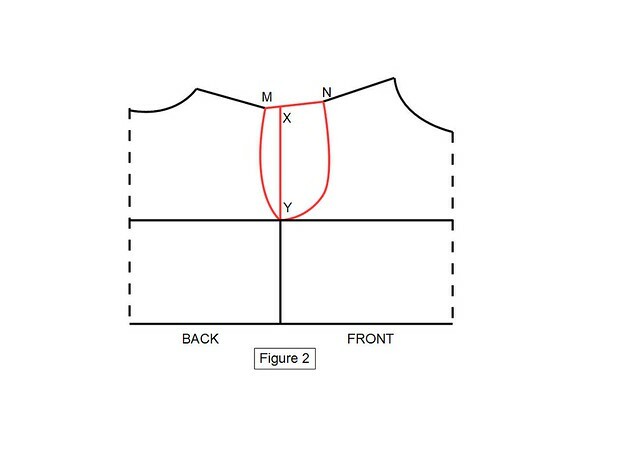 The method I present here allows you to draw your own sleeve that perfectly fits into your bodice pattern. 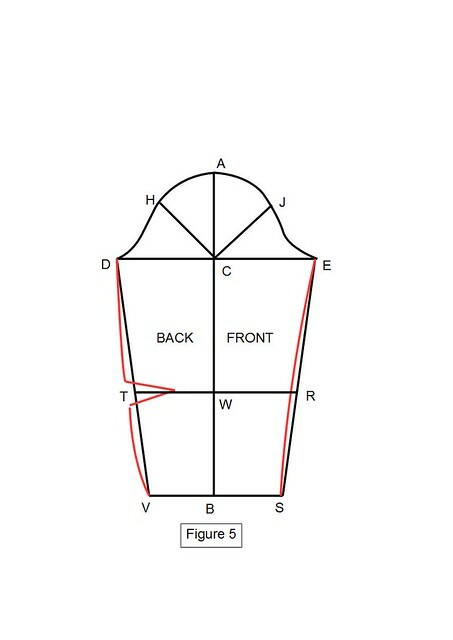 To put it simple, you begin to draw the sleeve pattern only after having tried and modified the bodice pattern. You need to proceed by steps. You also need some patience and simple tools: pencil, paper, protractor, simple and curved ruler. 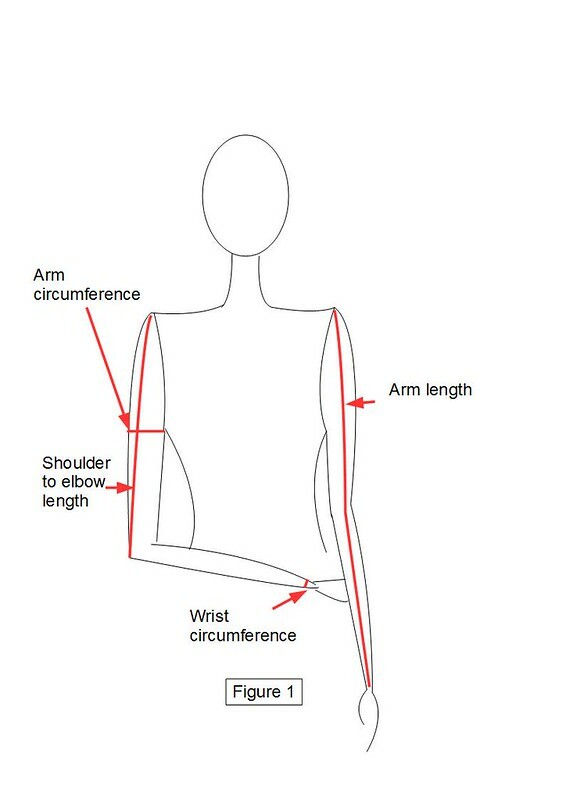 It is better to measure MY and NY separately, with a measuring tape placed around the perimeter of the armhole from the shoulder to the side line. NY is usually longer than MY. 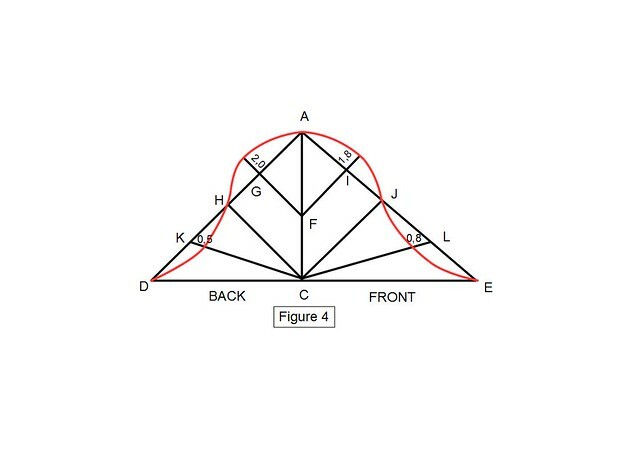 From F draw two lines FG and FI at an angle of 45 ° with AC. Do the same, from C and get CH and CJ. Place K and L in the middle of DH and JE. Draw the sleeve cap with the curved ruler by joining the points in red (figure 4, distances are marked in centimeters!). As you can see, I extended the lines FG with 0.8in and FI with 0.7in. I also shortened CK with 0.3 and CL with 0.2in. These are average distances that might change after fitting. This extra length represents the fullness of the sleeve cap. Finalize the rest of the sleeve (figure 5). Draw two parallels to the line representing the elbow and the wrist. Insert your elbow dart (1.2 in maximum) and extend DV with the value of the dart. Your pattern is now finished. You can cut your fabric, sew your sleeve and adjust if necessary. It is preferable to leave a little more seam allowances for the sleeve cap. This method comes from the book “Flat Pattern Making: alterations, vol 2” by Teresa Gilewska that I found less clear than the first volume. However, a few drafts and fittings later, I managed to build a custom made-to measure sleeve. But remember that this pattern is meant to be used only once. If you change your bodice pattern, you need to repeat the previous steps because the length and the depth of the armhole may vary. Starting from the 3rd sleeve, you will draft the pattern in 15 minutes only. So ready for a sleeve? This entry was posted in Patterns and tagged pattern, sleeve. thank you. i will try it. will let you know how well ( or not?) it went. I had just drafted the sleeve pattern, using the method I learnt some years, but it didn’t look as though it was large enough. I had use an armhole measurement take from shoulder bone, under arm and back to shoulder. When placed against the bodice pattern I’d drafted, the back of the sleeve head would probably fit, but the front was a few cm’s short. I believe this is due to the prominent bust of the person which has made the front armhole considerably larger than the back. Although I am yet to try your method, it appears to take into consideration these differences whereas the method I used assumed the front and back armholes of the bodice draft are approximately the same. Thanks for the useful information and I will return with my verdict when I try your method. ok, I understand now, I didn’t know this method…And yes, in the method I described, the front and the back armhole are not identical (even if it is not so clear in my drawings); the front arhmole is longer and more carved than the back armhole. I would love to have your feedback once you have tried the pattern. What about notches ? Thank you! Well, from my experience, I put notches in H and J. They need to match with the arm-to-arm line of back and front bodice. Thank you so much for this. I’ve been struggling getting this sleeve to fit all week and this made so much sense. Would be useful if they actually taught us this stuff at college, but hey, who needs decent teachers when you have the internet? Hi Ella, actually I am not using sleeve dart so much, especially when I sew fluid fabrics. Sometimes I see this dart on tailored vests but not on all of them so you can finish your pattern without it. CD = 0.75 * length back armhole. Did you multiply 0.8 by armhole depth. the symbol is confusing. Thanks. 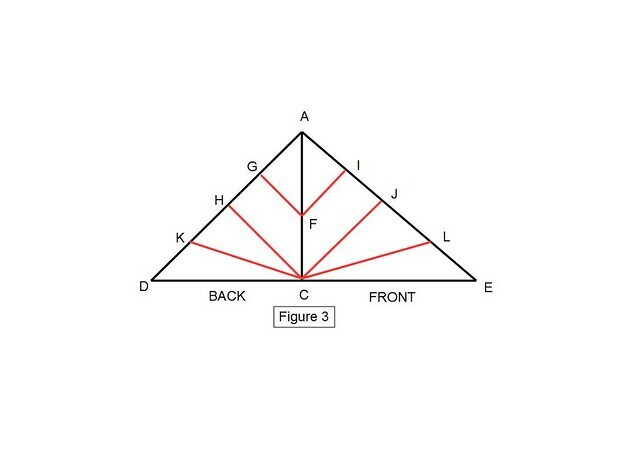 Are these figures “0.8, 0.75” that you used to multiply armhole depth, front and back armhole, constant. if not how did you arrived at those figures. If yes, can I you them when sewing for toddlers too. Nice job! Tnx for helping someone. EXCELLENT! I have been a seamstress for over 40 years and am so happy to have stumbled upon your site. One must never stop learning & creating. Dance on young one. Great description but I’m confused by drawing the curve of the sleeve cap. You said you “extended the lines FG with 0.8in and FI with 0.7in.” and “shortened CK with 0.3 and CL with 0.2in.” But your photo shows different lengths in these locations. What am I missing? You are so right, actually my drawing shows distances in CM whereas in my English text I convert it in Inches! could be confusing, so I might change the text. thank you for spotting it! Hi! I’ve been trying for a couple of days now to fit a sleeve but something was missing. After reading your post I managed to build a sleeve to finally match the armhole, so thank you for that! I do have a question, though: where do the values 0.8 and 0.75 come from (AC = 0.8 * armhole depth; CE = 0.75 * length front armhole)? Even though my front and back armholes were equal the sleeve fit by using your method. So I guess they can be used no matter the length of the armholes …? Thank you for this tutorial, I have taught myself to make patterns doing pretty well with pants & bodices so far, but I’ve been stuck on sleeves for weeks & it has been a nightmare I really hope it works. And from one dummy to a teacher is there any way to convert the degree angles to inches?